The first street circuit of the year is now upon us and I’m sure everyone remembers the fireworks in the land of fire in 2017. In the inaugural Azerbaijan Grand Prix last season only 13 cars finished the race with Stroll springing a surprise amongst the chaos to get on the podium for Williams. Hamilton and Vettel were nowhere to be seen after Vettel used his car as a battering ram and Hamilton had issues with a head rest not being fitted correctly. The course is in a spectacular setting, driving through the contrasts of historic castles and modern skyscrapers although very little run off areas means there’s no room for mistakes. 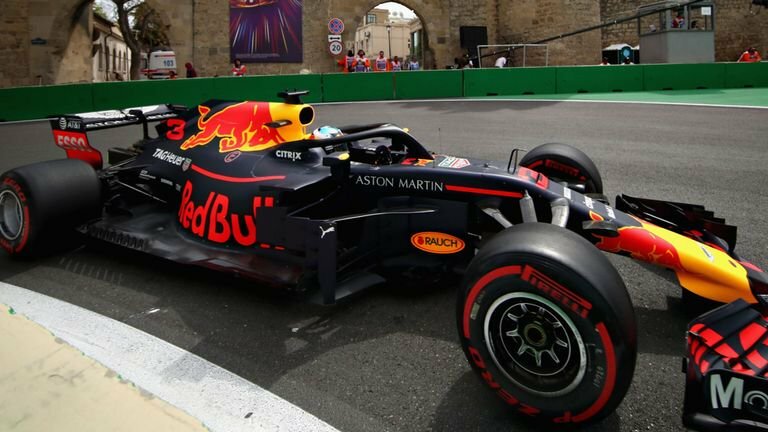 Last year, Ricciardo came out of the chaos on top as he so often does and he will be hoping to win two races on the bounce and boost his 2018 World Championship bid. FP1 & 2 have started well for the Australian as he topped both sessions. Raikkonen seems like his main challenger at the minute with Vettel struggling to stay on track in both sessions although he has made a habit of pulling it out the bag at the last minute this season. Red Bull teammate Verstappen crashed out in FP1 as the mistakes still seem to creep into his weekends. However, an improved FP2 left him 3rd in the timesheets meaning Red Bull have a very promising weekend ahead. Mercedes however continue to lag behind their rivals as they tried to find an answer to their lack of pace. More surprisingly Bottas outpaced Hamilton in both practice sessions. It’s looking increasingly more likely Hamilton is suffering from the post title winning season lack of focus. Could this effect his decision to sign on the dotted line as his contract expires at the end of the season. Alonso produced some promising laps for McLaren as he got to within a second of the leading cars and finished 6th on the timesheet. Force India also showed some improvement as Ocon creeps up the timesheets on a track that historically has favoured Mercedes power. Renault continued their consistent form with both drivers finishing in the top 10 after FP2. Magnusson finished off the top 10 in FP2 as Haas will be hoping for their first double points finish of the season. Williams showed signs of improvement but Stroll was still heard complaining the car was undriveable. There’s no chance of him repeating the podium he got last year but the first points of the season would be a welcome result for Williams. Toro Rosso are having an up and down season and seem to have gone backwards as the rest of the field progresses. Finally Sauber will struggle to get out of Q1 and they will be hoping for some chaos to help them jump up the pecking order. Red Bull look like they could be the team to beat with Ricciardo showing some encouraging form. If Verstappen can channel his talent in the right way a double podium is on the cards. Raikkonen has been getting close to Ricciardo’s times which means Vettel could easily come back into contention on Saturday and Sunday. Mercedes on the other hand have some work to do to get close to the podium.